12 contests winners!! Mini Quilts!!! I still want to THANK ALL of you who sent in your quilts…they are all special!!!! You should ALL be receiving your quilts back soon as they were sent back last week…along with a thank you prize for entering our contest!!! 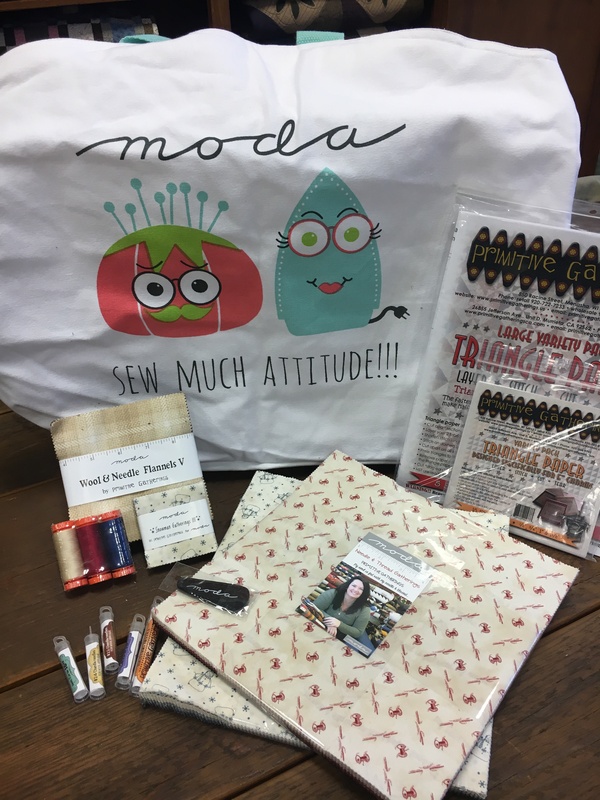 Winners…can please show your quilt and prize on any social media (IG, FB…or maybe you blog)…you reside on…#primitivegatherings and #12contestspgmini #modafabrics #showmethemoda… are the #s.
I can’t wait to do another!! In fact…I just had a thought…which one of these is your favorite? I know it’s hard to pick but…let’s see what happens??? It is too difficult to pick a favorite – they all are beautiful. Congratulations to the winners. The one that “speaks” to me is the Triangle Trees … it’s so lovely!! Thanks for sharing!! It’s so hard to choose one over the other but in the pieced category by Kathy Decker, I choose hers because I have a thing for stars and I really like everything about her quilt. My favorite is the Pieced Stars. All are beautiful! My favorite is the Pieced Stars. The quilting is exquisite. Wonder where Kathy found that pattern? It was fun and the winners were well deserved. Thanks for challenging us. They are all truly gorgeous and it is so hard to choose just one. It would be a tie between the applique flowers and the triangle trees. How exciting, I have been stressing about my little quilt being lost since the day I mailed it out. Thank you so much. After seeing a few of the entries, I did not think I had a snowballs chance in the Bahamas of being chosen. Thank you so much. 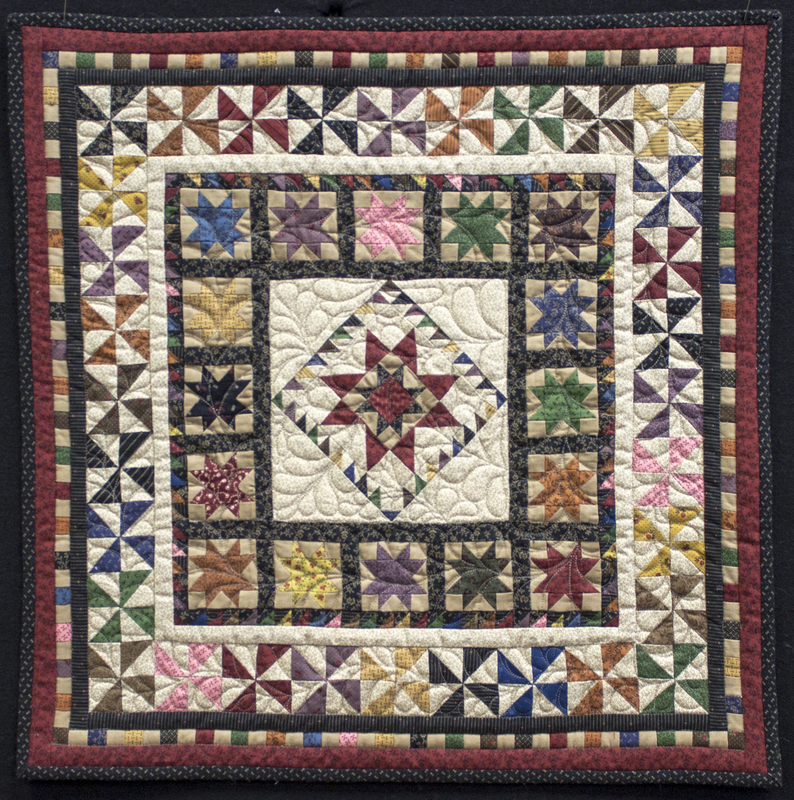 My favorite is the pieced stars by Kathy Decker. It is simply stunning! you are so right, this is hard to pick. It was hard to decide between the triangles and the pieced stars, but I am partial to stars. So the pieced stars it is !!! They are all so beautiful and amazing ! One day, I may be that good ! Triangle Category is my favorite. But all are beautiful. Wow Awesome Quilts. Congrats to you all. You are correct – they are all wonderful and very deserving but my favorite is the appliqué one. Definitely Carol Wood’s trees ~ I’m h oping to make one similar to that myself! Congrats to all the winners! can’t pick a favorite they look all good. Congratulations to all the winners! And yo all who participated. Sometimes it takes courage to put yourself out there. What a special show. Enjoy your treats, as they seem quite wonderful! I love the Hexy quilt all done in your lovely snowman fabric. It is adorable. They are all beautiful! I love Laura Lozier!! Just awesome! Congratulations!! They are all beautiful. 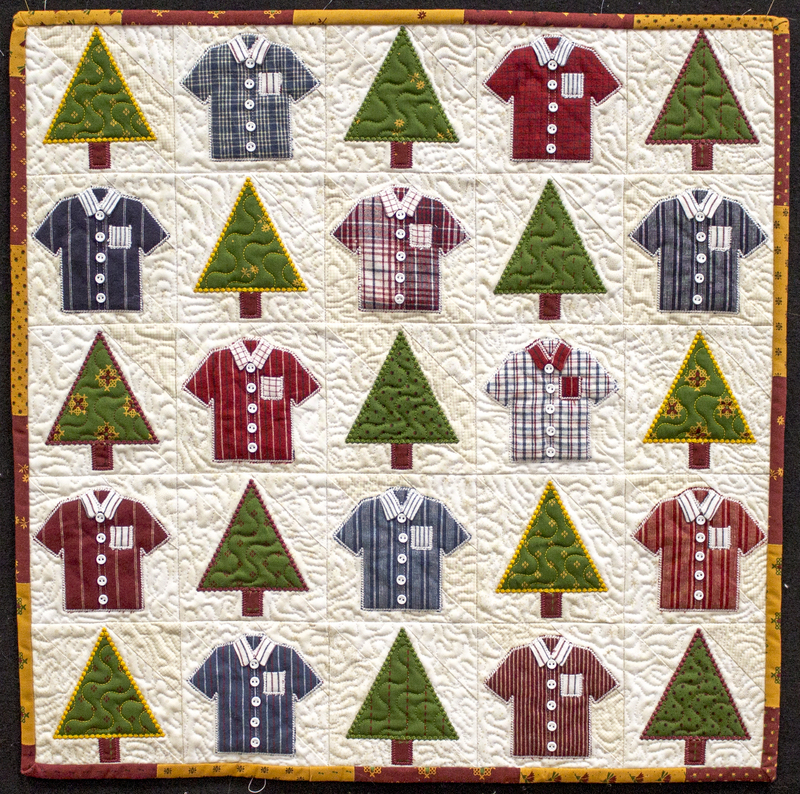 I am sew happy that my little lumberjack quilt was picked as a winner. I had a lot of fun sewing/stitching it. Thanks for the contest and prizes! I know it takes a lot of time and hard work to host a contest, so thank you again! The trees probably because I’ve been wanting to do one for a long time! Laura Lozier’s triangle quilt makes me happy! Beautiful! There are so many talented people out there! Oh wow! Congratulations to the winners!! These are all so amazing 😀 I love them all – Carol’s trees with all of those tiny triangles, Cherri’s trees and shirts is adorbs (and I LOVE her pieced binding), and Kathy’s pieced stars is gorgeous! And the Best in Show choices are equally wonderful! I really don’t think I can pick a favorite – but I can pick the two quilts that I would attempt to make (LOL) and they are Liz’s applique flower and Patty’s snowman hexies! Laura Lozier, I bow down to your piecing skills! My favorite is Cherri Kincaid’s. 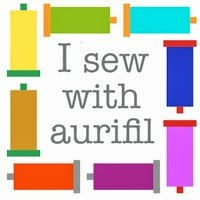 Any chance you will be doing a posting will pictures of all of the quilts you received? Would love to see the efforts of all the participants and variety of works received. All pictured here are great, but I would lean toward the triangle trees. Love the scrappiness of it. I love the pieced triangle trees by Carol Jo Wood. But congratulations to all, as they are amazing quilts. Kathy Deckers stars are Awesome, and stand out from the rest….that are All so beautiful! 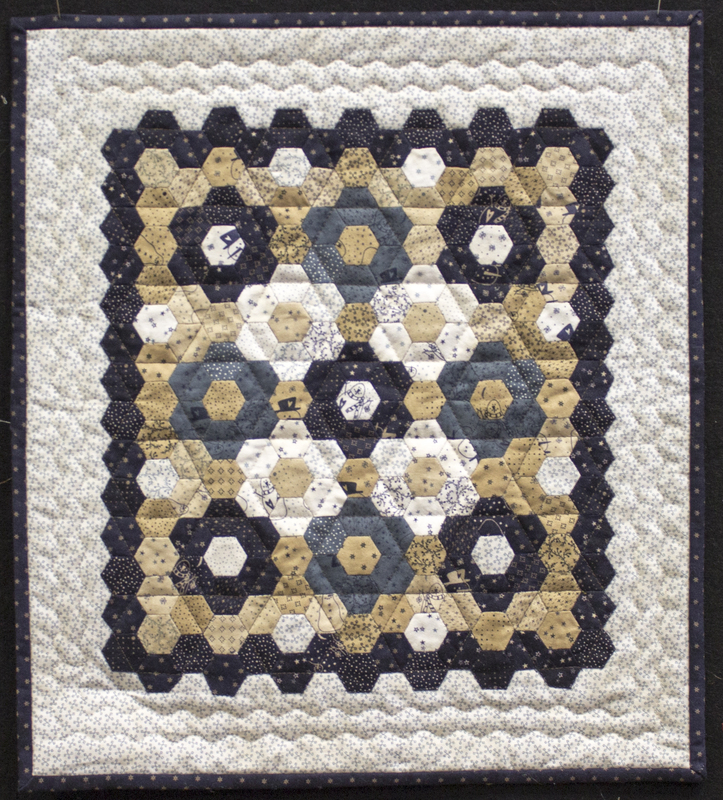 I am so excited that my Lumberjacks quilt was picked as a winner! It was sew much fun to make. Thank you Lisa for taking the time out of your busy schedule to host the contest. 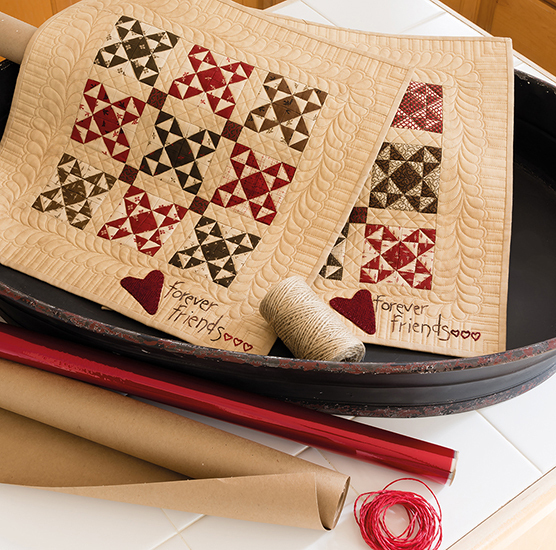 I know that you enjoyed having all the wonderful quilts hanging in your store. They are all great and each and everyone of the makers are very talented. I can imagine that it was difficult to choose as they are all winners! 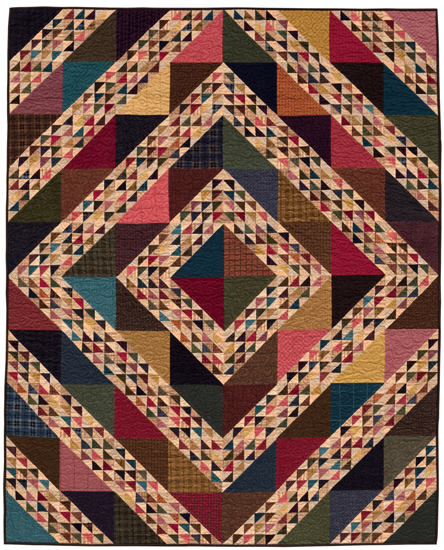 the triangle quilts are my favorites, just spectacular. the others are pretty awesome too. Every one is unique and so beautiful. Congratulations to each of the participants. 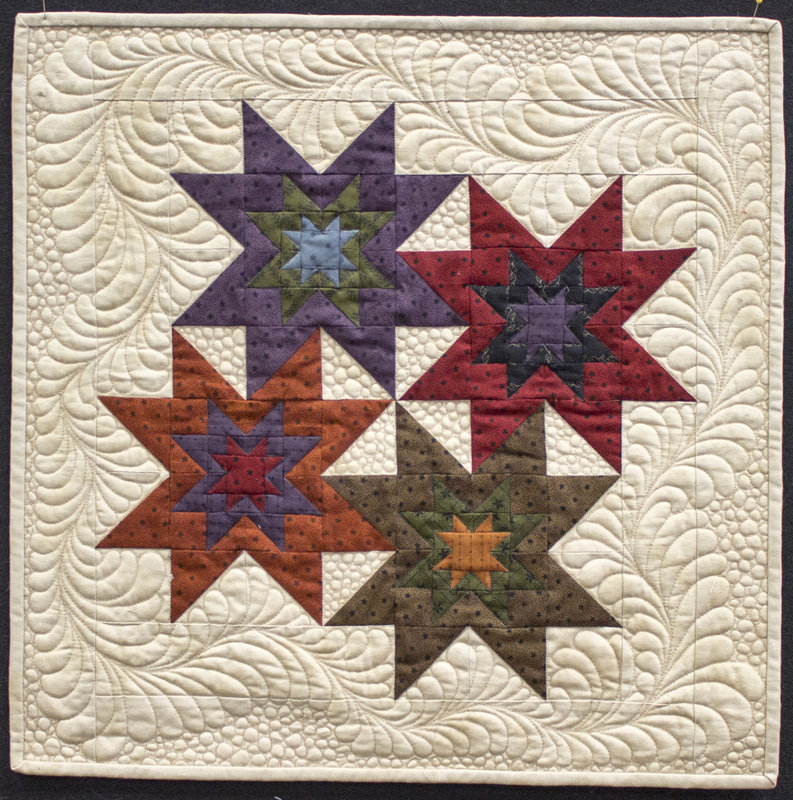 Kathy Decker’s stars are gorgeous! Would love to have that pattern. My favorite is Liz Kodner’s applique. 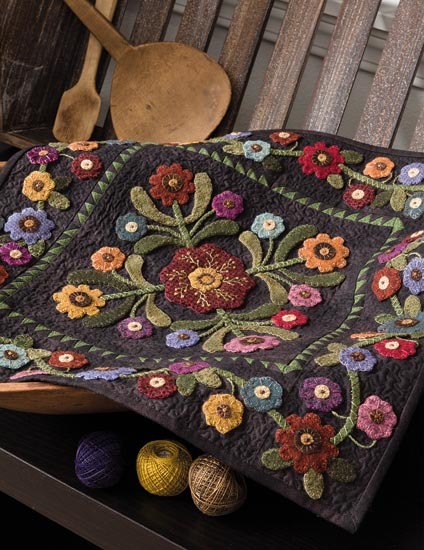 Love everything about it – the colors, the piecing, the wool applique, the embroidery, and the fantastic quilting! Love it! All are great but I really love the appliqué quilt. Beautiful workmanship, lovely quilting and great choice of colors. They are all so great, but I like the pieced star and the quilting the best. 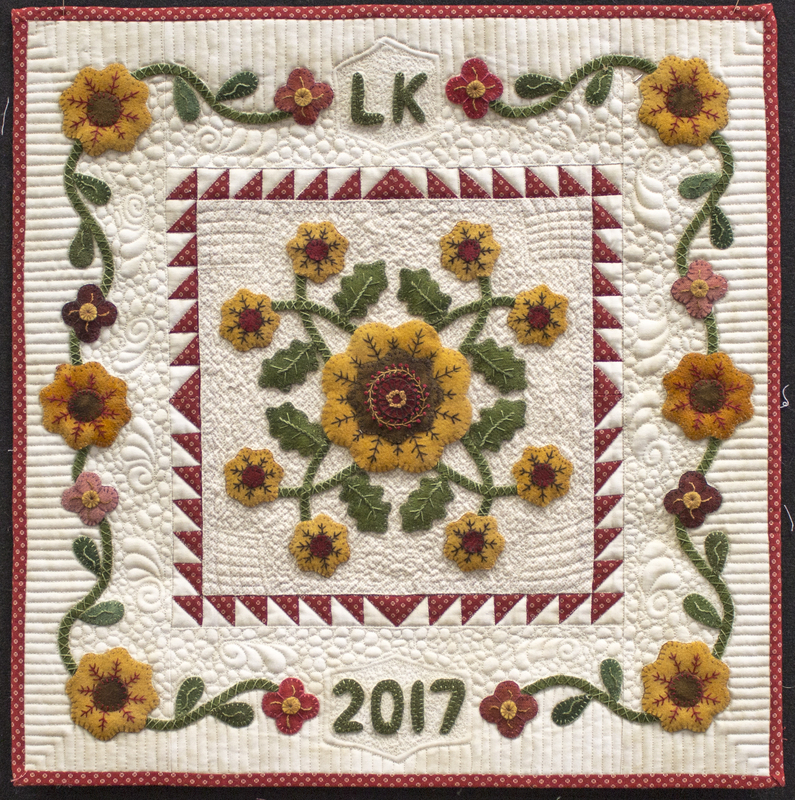 My favorite is the Applique Category- Liz Kodner. However, like so many have voiced, they were all winners and beautiful to see! All so beautiful and inspiring! Very hard to chose a favorite but I guess I like Liz Kodner’s a tiny bit more than the others. I just got my quilt back today! What a treat to find one of your sweet charm packs tucked in with it – thank you. It is the first quilt contest I’ve ever entered and you and your staff made it a wonderful experience for me. Let’s do it again next year! Very hard to choose just one as they are all beautiful. 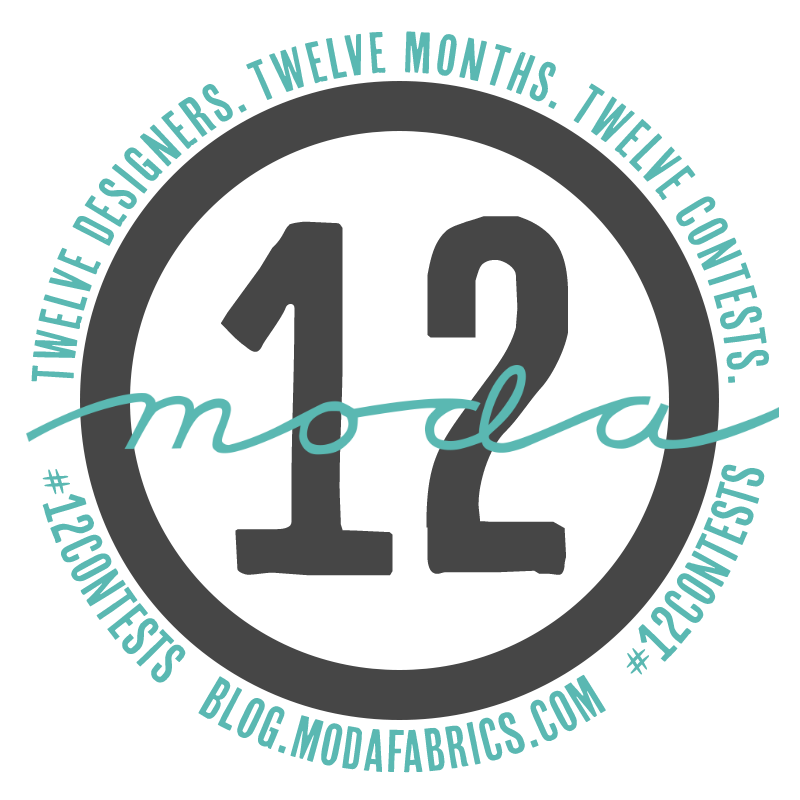 Saying that, when I saw Liz Kodner’s my reaction was WOW. The pattern is one I would like to make and the colors are so striking. And, the quilting is gorgeous. I think it has to be the triangle trees, even if you are using triangle papers those tiny HSTs have to be sewn together! Laura Lozier’s in the triangle category is my favorite. I have a thing for pinwheels! Wonderful workmanship and creativity on all quilts. Beautiful! My favorite is the yellow by Liz Kodner. The quilting is beautifully done. They were all beautiful and each deserved to win. Carol Jo Woods trees is my favorite. Love the colors and challenging piecing. 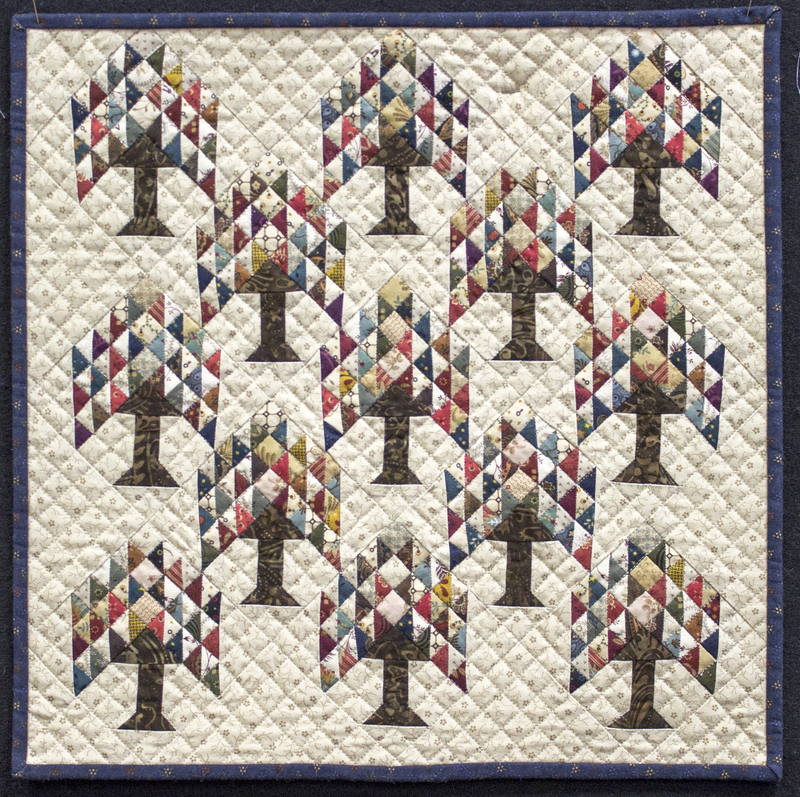 The quilts are all so stunning, but Cherri’s trees and the darling little shirts gets my vote!!! This is a late entry yet, I am so compelled by all of these beautiful quilts that I have to say to all of these quilters, you are each winners. Wow, I wouldn’t want to be you Lisa. Thank you to all for sharing your talent with us. My personal favorite is Laura Lozier.